Is he using the free version, or the $0.99 Pro version? Well, up until the Battle of Endor.. it was the free version. Thankfully though, at the planning meeting (This is a cut-scene that was on the Super Deluxe Collector Series Extra Wide Screen Even More Special Edition of ROJ which was available only in Belgium for a brief period.) prior to the assault it was decided by General Madine that all tactical Apps would be upgraded to Pro versions. The decision was made following a heated exchange between Madine, Mothma, and Ackbar regarding the Alliance’s remaining funds and what they should be used for. This scene had to be removed in order to preserve the PG rating due to Ackbar’s vulgar rant concerning Madine’s comb-over, Madine explaining in detail what he was about to with his presentation baton, and Mothma using the F-word twenty three times during the conversation. Guess I wil have to check Ebay to get this special, deleted scene. Me too. Especially after that description! 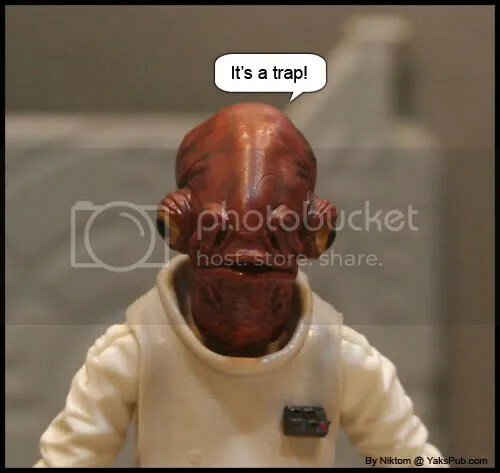 anybody else think that Admiral Ackbar is the awesomest Star Wars action figure to come to toy shelves? Not me. I want new characters. Don’t care about resculpts or super articulation. In fact, I hate super-articulation. My kids have a small army of clones missing hands where the wrists popped out. So lame. It took firecrackers to blow the figures apart in the 1970s. Now, you touch them wrong and they fall apart. But the upcoming Bom Vimdin looks good to me. Yeah, I’m a grumpy old dude. it’s not about articulation and such. 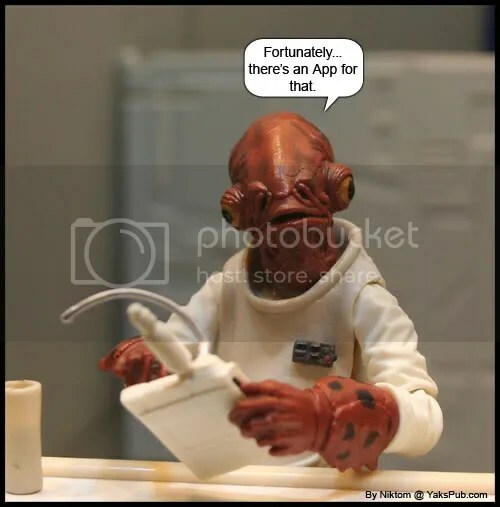 It’s the fact that he’s Admiral Ackbar! You could have made that one so much simpler – just use the second pic.